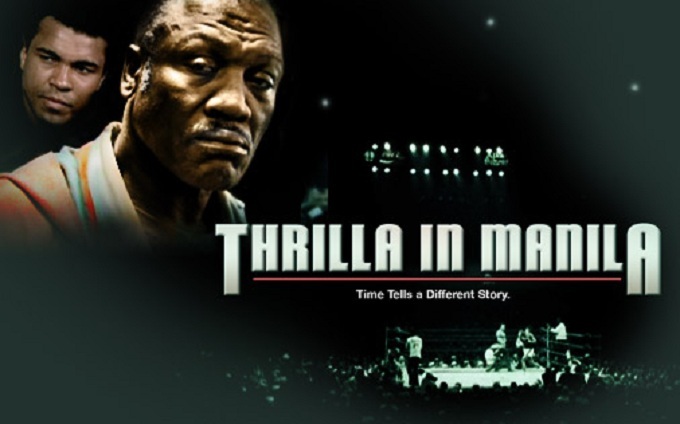 HBO’s 2008 film Thrilla In Manila is a sports documentary with an agenda; not necessarily a bad thing, but when a bias obscures and twists the truth, as happens here, that’s a problem. When the film was released, many hailed it as a refreshing break from the accepted narrative of that great fight in 1975, a narrative told countless times and which didn’t need to be told again. This was what made the documentary relevant, the pretense that it brought to light, for the first time, the hard truth of that legendary battle and the men who fought it. Thrilla In Manila succeeds in terms of being a powerful meditation on the lingering effects of that violent clash and on the fate of Joe Frazier, but viewer beware: you are getting a slanted version of what actually took place. Joe Frazier in HBO’s Thrilla in Manila. Using archival footage and interviews, the film recreates the context of the great Ali vs Frazier rivalry, recalling the harsh words spoken by Muhammad, which evidently still stung over three decades later. To promote their matches, Ali resorted to calling Frazier an “Uncle Tom” and portraying him as a dumb black man who was subservient to the white community, while portraying himself as the true representative of his people’s struggles. No doubt Ali was influenced by his fellow members of the militant Nation of Islam, who resented black public figures who did not subscribe to their pro-segregation and anti-white perspective. Long before this documentary was produced, Ali had denounced the dogma of the Black Muslims and embraced moderate Islam, but no one will ever learn that from this film. 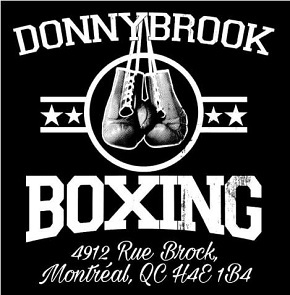 The fact is, Ali promoted all of his fights by mocking his opponents so the verbal invective aimed at Smokin’ Joe was hardly unique. Did he go too far against Frazier? Was there a cruelty in Ali’s verbal attacks on Joe? Absolutely. And this was, at least in part, a reflection of the fact Frazier was the one man who intimidated and troubled Ali, as opposed to the other way around. 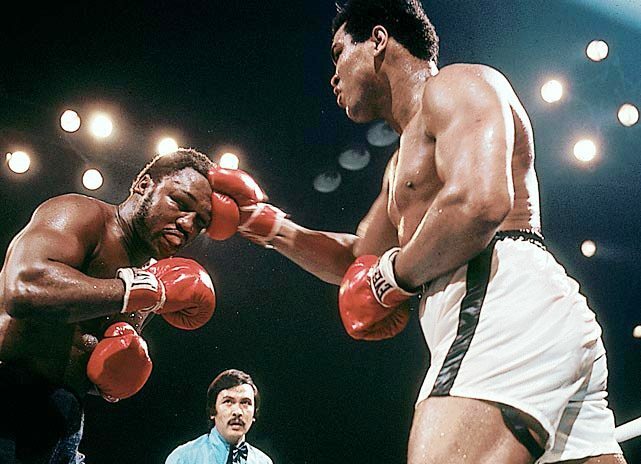 Ali initially failed to recognize that Frazier was something very different from all of his other opponents and he paid the price in their initial meeting in 1971. Joe became the first to defeat the man he insisted on calling “Clay” when he earned a clear-cut decision win in arguably the biggest fight in boxing history, knocking Ali down and doing real damage to the reputation and standing of “The Greatest.” Ali then ramped up the verbal pressure before their next two battles, convinced as he was — in Frazier’s case, incorrectly — that the taunts and insults worked to rattle and distract his opponent. 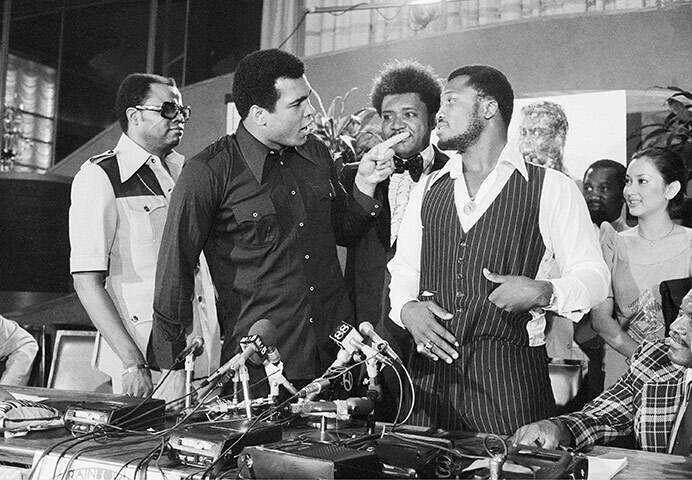 Ali and Frazier trade barbs at a Manila press conference. But the documentary pays scant attention to the motivation behind Ali’s verbal cruelty, the better to easily cast one man as the villain and the other as the victim. Instead, it’s the political angle which gets more mileage, the film’s argument being that in the fractious social context of the time, Ali alienated Frazier from his own race and helped to create a dynamic where cheering for Ali meant you were “against the war in Vietnam and supportive of the civil rights movement,” but if you cheered for Frazier, you supported “white, conservative America.” Joe was reduced to a caricature, defined as someone and something he was not. No doubt there is some merit to this perspective, reductive though it may be. Of course it is the legendary third and final battle in 1975 which the documentary is chiefly concerned with and the fact Ali took his insults to a new low by labeling Frazier “a gorilla.” As for the fight, we all know what happened, but the story is still captivating. 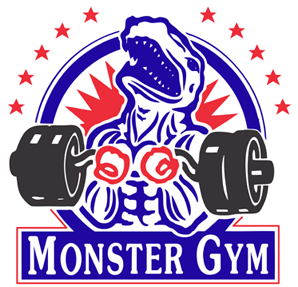 After slugging it out for 14 brutal rounds in the Manila heat, both men sat on their stools. According to some, Ali, despite having clearly assumed control of the match in the last three rounds, wanted to quit. Across the ring, Frazier’s cornermen did not want him to absorb any more punishment and, after a brief discussion, trainer Eddie Futch signaled surrender. And Ali, upon learning the news, stood up, raised his arms, and then collapsed to the canvas. Ali somehow came back in the late rounds. The film captures the intensity and brutality of the battle, with fascinating insights from people who were a part of it, but the documentary’s strongest moments come when we learn what it meant to Frazier. 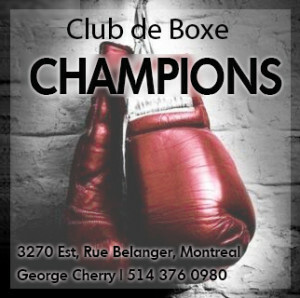 As we observe the former champion, who claims to have never before watched the fight, sitting in a darkened room, viewing the titanic struggle on a television screen, we realize how haunted Frazier is by what took place that day. The conclusion framed by the film is that, tragically, Joe Frazier’s career, legacy and identity remain defined by Futch’s decision and that Joe could never stop wondering what might have been had The Thrilla in Manila not been stopped. This is, to a certain extent at least, conscious and deliberate myth-making. First, anyone who seriously believes there was any chance of Frazier winning had the fight continued is profoundly deluded. Joe was clearly behind on points and had taken a terrible beating in rounds 13 and 14, his face so swollen he was virtually blind. 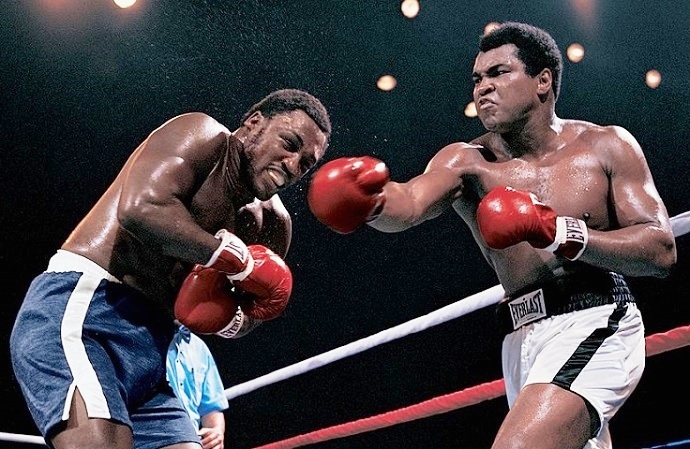 The idea that Ali, who was every bit as competitive as Frazier, would have stayed in his corner when the bell rang for round 15 is nothing more than baseless speculation. Yes, he reportedly told his corner to cut off the gloves, but this was no doubt an expression of pain and exhaustion, not of a genuine desire to quit. And there is simply no way trainer Angelo Dundee would have let Ali surrender on his stool in a fight he was winning. 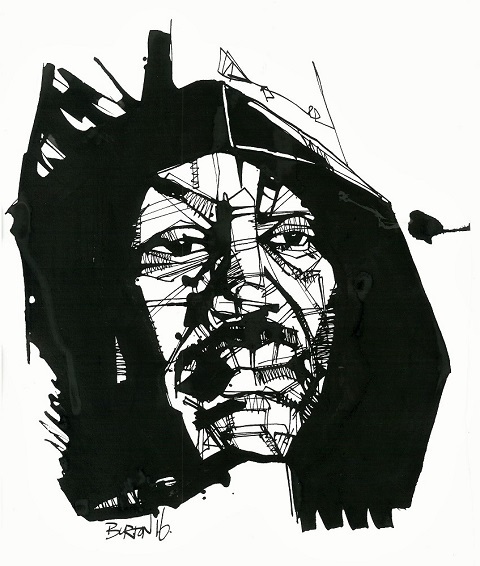 Smokin’ Joe Frazier: Ink drawing by Damien Burton. With the film’s biases and excesses in mind, it is far better to see this documentary as less an accurate take on The Thrilla In Manila and more as a snapshot of Joe Frazier at a particular time and place. Why and how Joe ended up with little to show for the millions he made during his career is never explained, but there’s no reason to believe Muhammad Ali had anything to do with that. In fact, quite the contrary, as Frazier never collected bigger paydays than when he fought “The Louisville Lip.” Further, one has only to visit Youtube and watch different videos of Ali and Frazier appearing together in television specials from the 1970s and 80s to see that Joe was not always so tortured by Ali’s tasteless taunts from years before. That Frazier became increasingly resentful as the years passed, there is no doubt, but exactly why remains something of a mystery. I think that Frazier deep down was affected by the universal applause and love Ali received (particularly after his illness diagnosis became common knowledge) while he was resigned to a footnote and hero to boxing purists. I was struck thinking watching the documentary that Joe had been consumed by backwards coulda, shoulda torment. Whatever the motivation I found it incredibly sad that a brilliant champion would be in his monetary and mental places in his dotage. If you watch the end of the early rounds of Thrilla In Manila, you will see Joe tapping Ali with his glove in a non-aggressive manner, the way boxers of old, and even some boxers of today, show respect to each other. Joe did this even with Ali’s back turned on him as Ali went straight to his corner. I believe that Joe was still hoping they could still go back to friendlier times. But Ali never reciprocated the gesture. Never apologized to Joe in Joe’s face (he reportedly gave the apology through Marvis). In the years following their retirements, their friendship and “reconciliation” (I remember them arm over arm at the 2002 NBA All-Star Game) would be an on-again, off-again thing, as Ali never missed the opportunity to mock Joe (“have you seen the gorilla?”) whenever he had reporters and microphones in front of him. 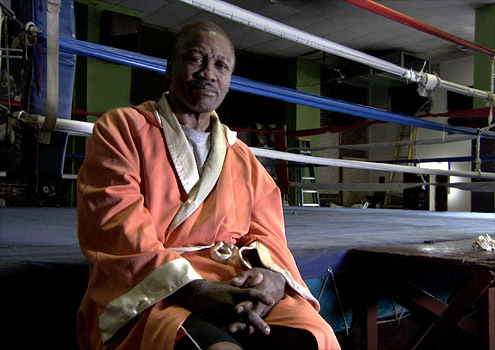 Joe Frazier was always my favorite in and out of the ring. But people lose sight of the fact that he had…I don’t know… 5 or 6 other kids by various women. Got divorced after 20+ years in the mid 80’s. Had some significantly bad business deals. All that will pick away at your finances over time. Nowadays if someone looks at you wrong it’s all over social media. Fortunately a lot of Joe’s private life never played out for the public. But yeah I think Joe suffered from “What might have been?” and it ate at him. Rocky gets a statue and Joe is the real deal and there’s no statue until after he dies (I’m not even sure where in Philly it is). Anyway, in many ways the documentary asks more questions than it answers but is still an interesting piece of fistic journalism.